Whether your face shape is oval or square, the right haircut and style, especially the way you part your hair, can make a world of a difference in your overall look. Here's how to find the best part for your face shape, along with the celebrities who pull them off the best. Allen Ruiz, Aveda global artistic director, says that if you have an oval-shaped face like Lea Michelle, you can pull off just about any type of style—middle, side or even deep parts. Play around with your hair to mix things up! If your face shape is square, try a side part with bangs to add softness like Sandra Bullock. Ruiz advises not to make the part too heavy, or it will accentuate the sharper angles of your face. "The aim is to offset or round out square features and soften the hair around the temples and jaw," he says. For a round face, the aim is to create the illusion of length so that the face appears slimmer. Ruiz suggests wearing a center or side part like Heidi Klum's, which works better because it's one length around the face. Channel your inner Reese Witherspoon and try a deep side part to break up your chin line and soften your cheek bones. 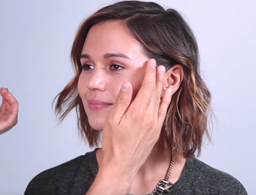 "The aim is to decrease the width of your forehead and increase the width in the lower part of your face," Ruiz says. If your hair naturally parts down the middle, part it while it's wet and use a light gel or hairspray to keep it in place. 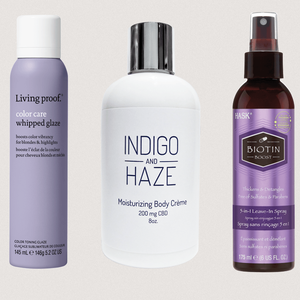 Between heat styling and environmental aggressors like sun exposure and wind, our hair can take a serious beating. Adding chemical-laden formulas to the mix can make frizz, split ends and other hair damage even worse. 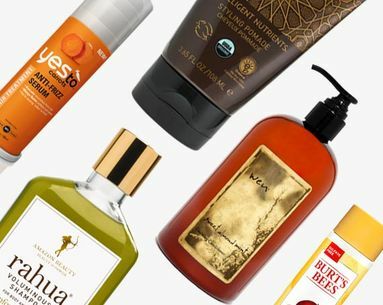 Find refuge from harsh ingredients and show your hair some all-natural love with products that give strands more of what they need and less of what they don’t.